Film Free is one of the most effective (non ammonia, non alcohol, VOC compliant) glass cleaners available. It quickly removes dirt, grease, bug stains, grime and smoke film, leaving glass and reflective surfaces clean and streak free. 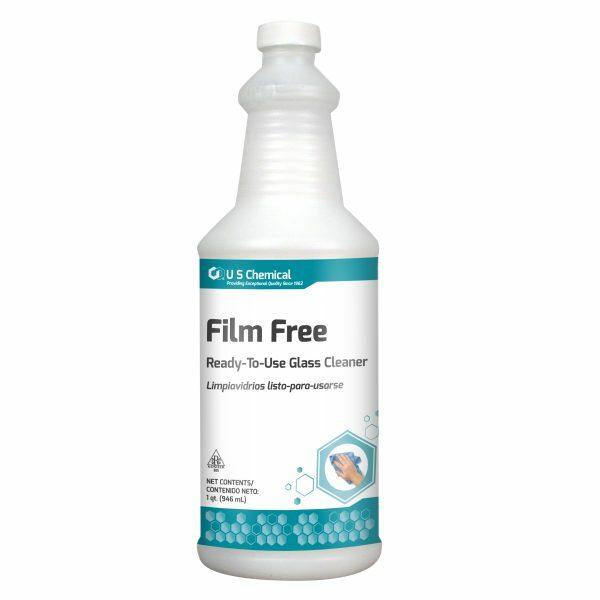 Film Free can be used as a light duty multi-purpose cleaner for counter tops, chrome, stainless steel, enamel, Formica®, ceramic tile, sinks and other water-washable surfaces.